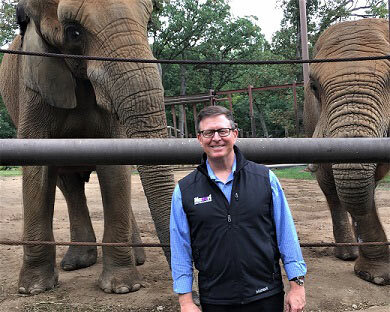 John has been the Director of the Mazuri Exotic Animal Business since 2018. John has experience in the management and feeding of backyard poultry, rabbits, goats and show cattle. He has a passion for the varied species on our planet and his family has beagles, cats, a cockatiel and a red-eared slider turtle. John has a strong background in building relationships with allied industry partners. John has twenty years of experience in the feed and agricultural industry, including six as Vice President of Marketing with Rabo AgriFinance and thirteen as Marketing Manager with Purina Animal Nutrition. He has a MBA from Webster University and Bachelor’s degree in Marketing Management from Missouri State University.